What a way to welcome spring! 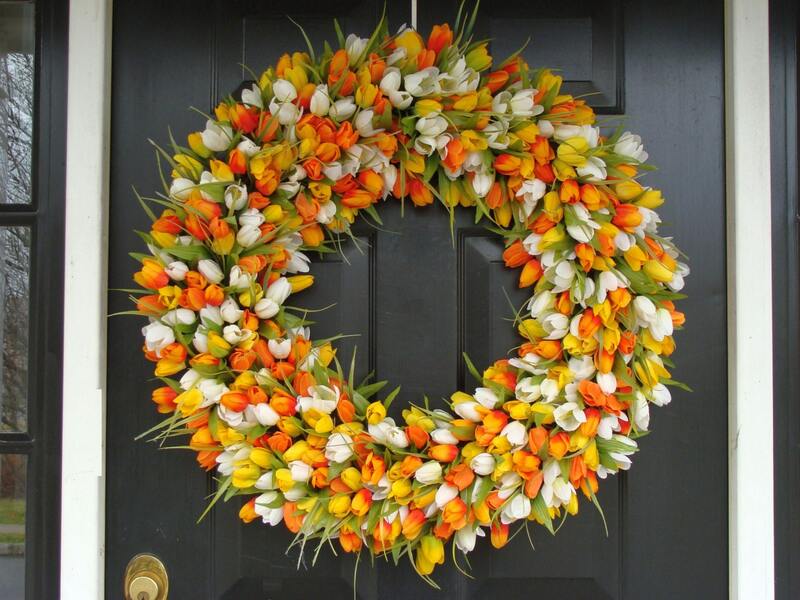 This large wreath is perfect for your front door or large indoor space such as over a mantle or foyer. Measures 28 inches round and 6-7 inches deep. The silk flowers were carefully arranged onto a beautiful grapevine wreath backing. 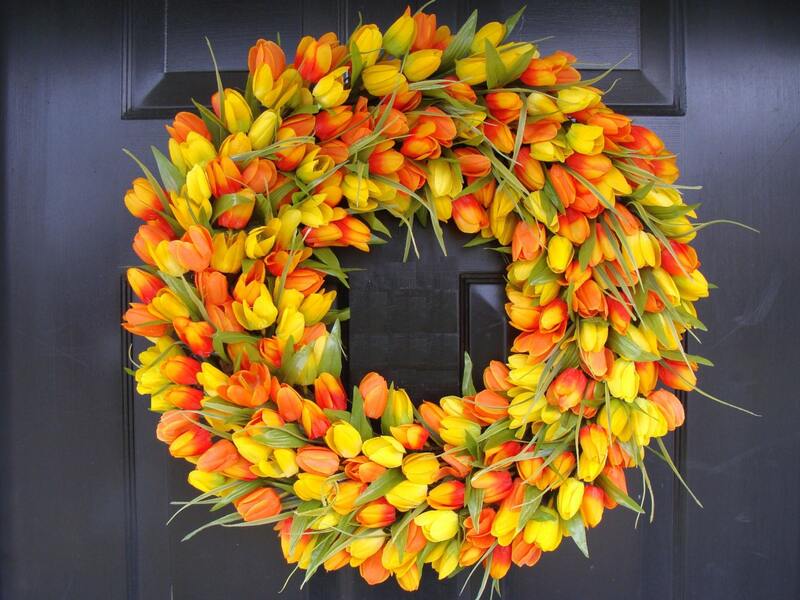 A beautiful wreath that will last years. 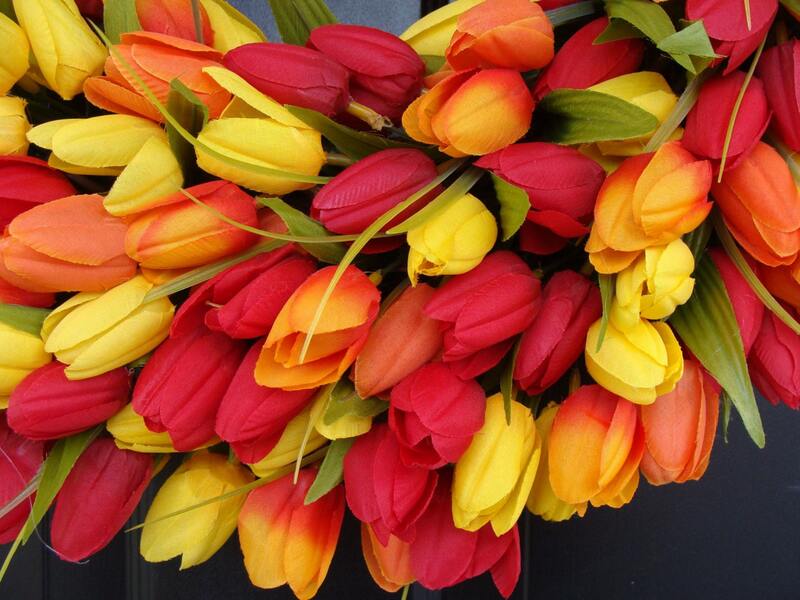 Click on the link below to purchase another tulip wreath in your size. Then choose colors in that listing. Fantastic seller, great communication, amazing work. Love it! Very large and full. 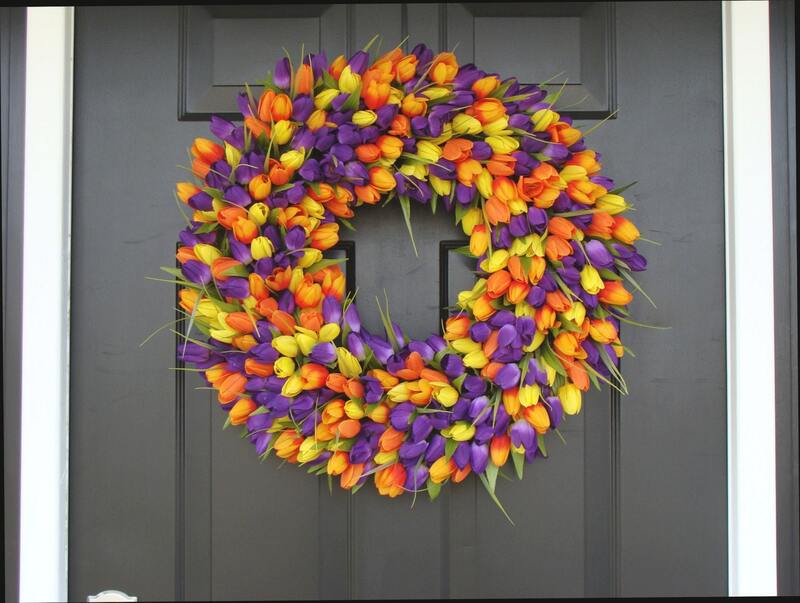 Fantastically beautiful wreath! Looks gorgeous on my door! Thank you. 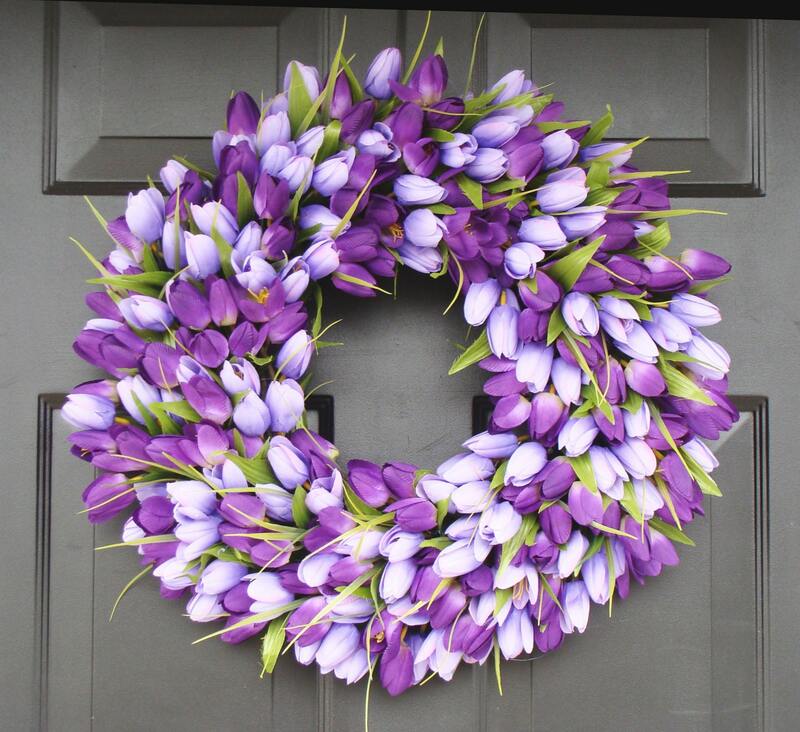 This wreath is beautiful. It took a little over 2 weeks to arrive. I bought 2 for French doors. They are really well made. They came very securely packaged. Love them!